So without further adieu let’s talk about what Perseid meteor shower is, where it originated from, and the extensive history behind it. 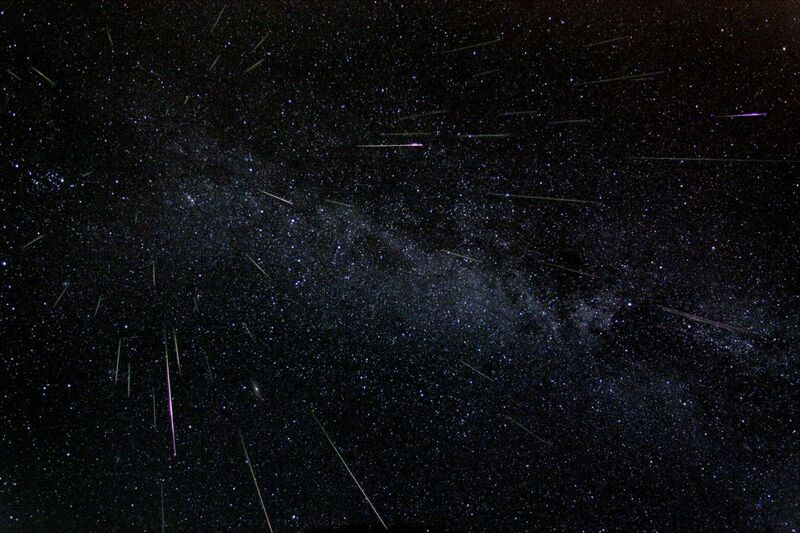 Where Did Perseid Meteor Shower Come From? A common question that gets asked all the time. Nonetheless, a good question. The Perseid Meteor shower is actually debris and pieces falling off comet Swift-Tuttle passing by at 58 km/s or 36 mi/s. I find that unbelievable in its own right as we get this beautiful display of meteorites burning up in the mesosphere, which is only 80 km or 49 miles above our fragile heads. Even still where did this comet come from? Well, comets are what we call “dirty snowballs.” They are comprised mostly of gas, ice, and rock. Comet Swift-Tuttle is actually a periodic comet that takes 133 years to orbit the Sun. It has an orbital resonance of 1:11 with Jupiter. In plain English, that means the time it takes Jupiter to orbit our Sun 11 times (12 Earth years per orbit) comet Swift-Tuttle will have orbited the Sun just once. In 1862 the comet was discovered by Lewis Swift on July 16 and then a few days later by Horace Parnell Tuttle on July 19th. 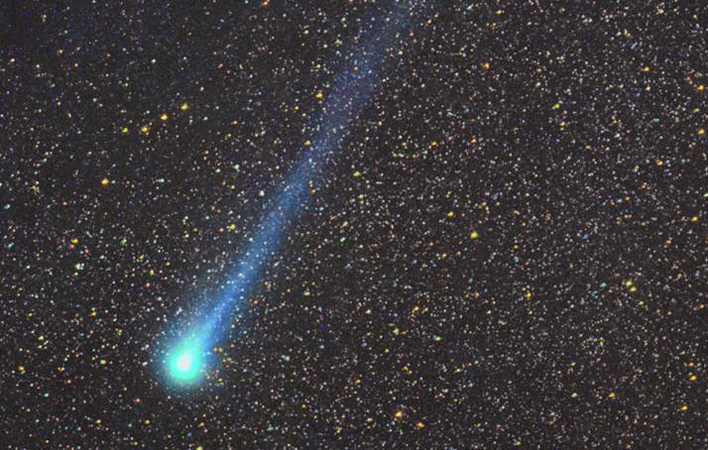 Astronomers believe there was a connection between this comet and the meteor showers that happened every August. It was later confirmed in 1992 when a Japanese astronomer spotted this comet with his 6-inch binoculars as the comet passed 177 million km or about 100 million miles away from Earth. The intriguing part to me is how bright the comet look at various times in history. The apparent magnitude of the comet, or how bright it looks in the sky relative to other objects, in 69 B.C.E was 0.1 mag. To give you a frame of reference if you look at Vega in the night sky it is considered a magnitude of 0.03. Basically, the comet was as bright as an airplane in the sky and very easy to see with the naked eye. In the year 2126, the comet will make its next closest approach and have an apparent magnitude of 0.7. For a moment in time, the Swift-Tutle was regarded as a highly possible threat to the Earth. This was something I never knew about personally but creates quite the context of the Perseid Meteor shower. Swift-tutle is the largest Solar System object that makes repeated closes approaches to Earth. Not only that, but that orbit is drawing nearer and nearer to the Earth-Moon system. It’s usually okay when we can predict the orbits with precise measurement. However, the commotion started when it was sighted in 1992, and it was off by 17 days (July 11th vs. July 26th). 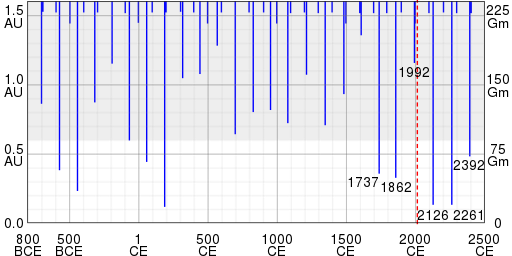 When you look at the predictions and how far they are in astronomical units (AU), you can see how much closer swift-tutle is getting to Earth. Predictions of the comet’s approach to Earth from 800 BC to AD 2500. The shaded area indicates you can’t see it with just your eyes. The dotted line is the current time of this predication. The good news is that it doesn’t look that bad after all. August 24th, 2261 will pass by 0.147 AU (22,000,000 km; 13,700,000 mi) or 900,000 km closer. 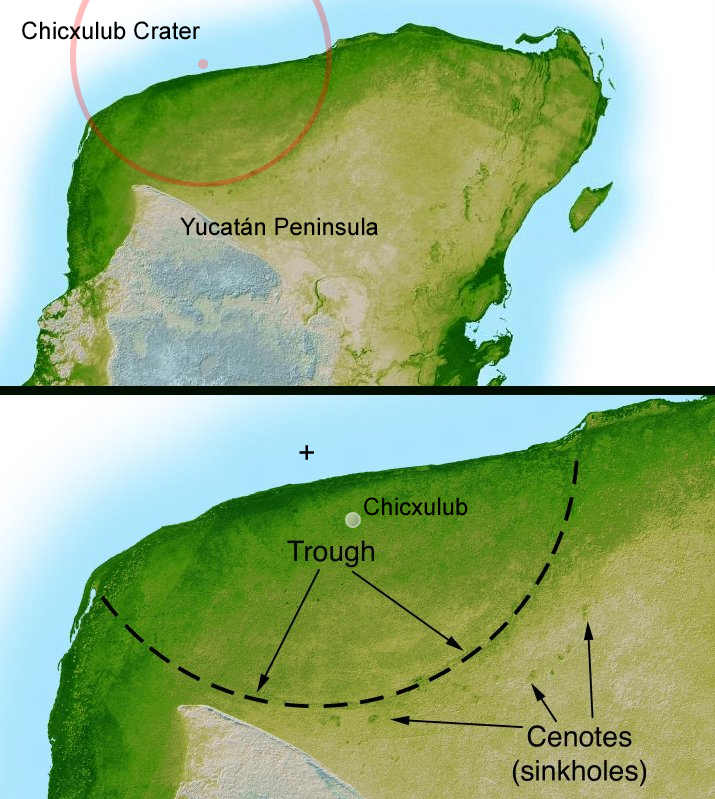 By the way, if this comet hit Earth it would be at least 27 times harder than the asteroid that took out the dinosaurs. Check out the image below. 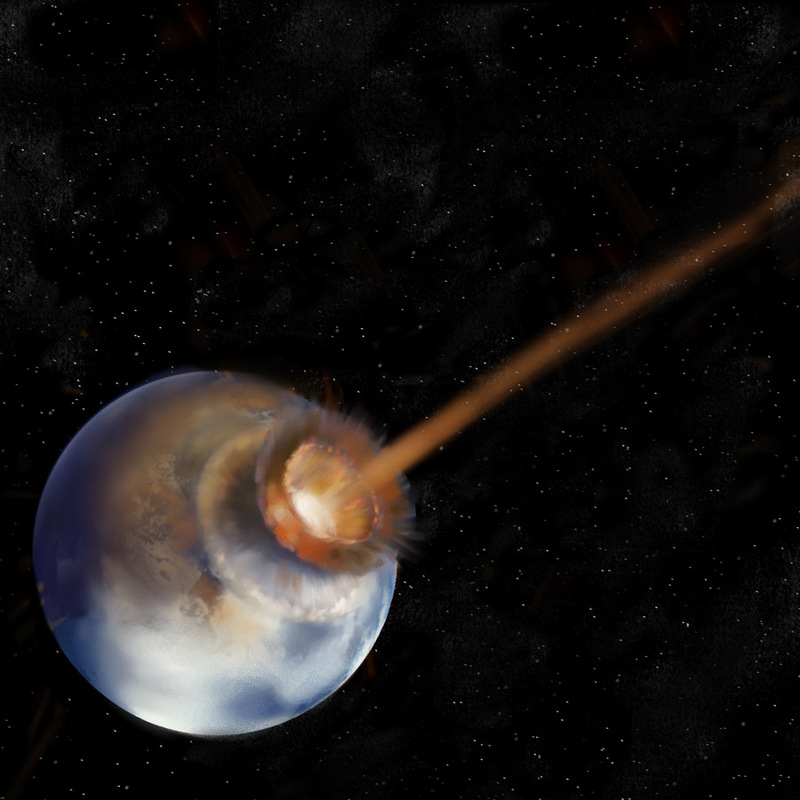 It would be about 27x bigger than this impact! Nevertheless, we’re not quite in the clear. 2000 years later in 4479, the comet will pass within 0.03 AU of Earth or about 4 million km or 2.4 million miles. There always be a little worry in the back of your head knowing we’ve been off predictions once before. It’s almost a 0% chance of hitting Earth in 4479 but of course, but 2000 years is a long time for trajectories to change as well as refining the predictions. Facts about the Perseid meteor shower that you may not know about.